Beginning Monday, April 8th, both the “F” Building and Student Center will be temporarily closed for needed repairs due to a power outage on March 28th. Only classes and services in these two buildings are being relocated. Please note: The rest of campus is open for classes and regular business. Temporary classrooms locations can be viewed by clicking here. For any additional information about your specific class, please contact your instructor. We’ve also temporarily relocated services in the Student Center, including extended hours for student study and computer areas, the Wellness Center, cafeteria services, Associated Students of Laney College (ASLC), and Student Activities and Campus Life. For the complete list click here. 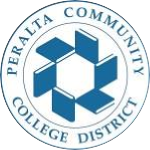 For any specific questions about Student Center services, please call the Office of Student Activities and Campus Life at 510-464-3188, or send an email to, emoreno@peralta.edu. We are working hard to ensure power is restored to the “F” Building and Student Center as soon as possible. You can visit the Laney website for the latest information by clicking here. If you have questions or concerns, send your email to: laneystudentservices@peralta.edu. Periodical updates on the progress of repairs will be sent to you by email or text as soon as they become available. If you’ve not signed up to receive campus text notifications, please click here. We appreciate your patience and understanding.